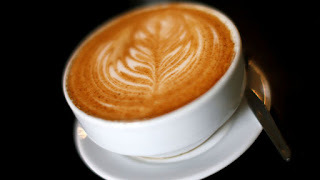 People who drink around three cups of coffee a day may live longer than non-coffee drinkers, a landmark study suggests. In the largest analysis of its kind, scientists looked at data from more than 500,000 people in 10 European countries, including the UK, to explore the effect of coffee consumption on the risk of death. Researchers from the International Agency for Research on Cancer (IARC) and Imperial College London found that higher levels of coffee consumption were associated with a reduced risk of death from all causes, particularly from circulatory and digestive tract diseases. It is estimated that 55 million cups of coffee are consumed in the UK every day, with many people unsure of the health benefits after decades of mixed messages. Lead author Dr Marc Gunter of the IARC said: "We found that higher coffee consumption was associated with a lower risk of death from any cause, and specifically for circulatory diseases, and digestive diseases. "Importantly, these results were similar across all of the 10 European countries, with variable coffee drinking habits and customs. "Our study also offers important insights into the possible mechanisms for the beneficial health effects of coffee." Using an earlier European Prospective Investigation into Cancer and Nutrition, the group analysed data from 521,330 people over the age of 35 from 10 European countries, where coffee consumption and preparation methods vary from an espresso in Italy to a cappuccino in the UK. Their diets were assessed using questionnaires and interviews, with the highest level of coffee consumption (by volume) reported in Denmark (900 mL per day) and lowest in Italy (approximately 92 mL per day). Those who drank more coffee were also more likely to be younger, to be smokers, drinkers, eat more meat and less fruit and veg. Following adjustments for lifestyle factors such as diet and smoking, the researchers found that the group with the highest consumption of coffee had a lower risk for all-causes of death, compared to those who did not drink coffee. Men who downed at least three cups of coffee a day were 18% less likely to die from any cause than non-coffee drinkers. Women drinking the same amount benefited less, but still experienced an 8% reduction in mortality over the period measured. Similar results were reported by American scientists who conducted a separate investigation, recruiting 185,855 participants from different ethnic backgrounds. According to the group, more research is needed to find out which of the compounds in coffee may be giving a protective effect or potentially benefiting health.